Riolu posted an update in the group Neverland. Riolu joined the group Neverland. // hmm where are these eager beavers? // eeeeeeeeeeeeeeeeeeeeeeeeeeeeeeeeh!!!!!!! I”m buying you some qtips! // join the group if you haven’t already and then go to “forum” and read the “topics” and best of luck! // I’m not actually shy, I’m mostly talkative at times. I don’t really respond to messages if you want to help newcomers, just refer them to this group and ask them to read the description and forums. Arigato! 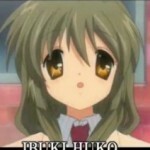 Tama Esmeralda Hayashi-Sakata (AndroidMaidSugarDemon) posted an update in the group Roleplay Roleplay everywhere! // this group allows you to say what kind of rp you’re looking for so that you get the right rp’er for your style. . I hope all this helps. Welcome back to Skyrie young miss! This is the official Skyrie group where you can find information in the forums. *Bows* Welcome to the Sugar Sweet Bakery young miss! My name is Tama. *she puts a menu in front of her. * What would you like to order today? *She nods and heads to the kitchen to bring her back a muffin, she also brings her some green tea and places it on the table. * A su orden! *she smiles* Enjoy!